Kickstarter has brought us many innovative ideas and technologies but we can assure you that you have never seen anything like this before. If you are a water lover, then the Kayacat is definitely something that you should own. 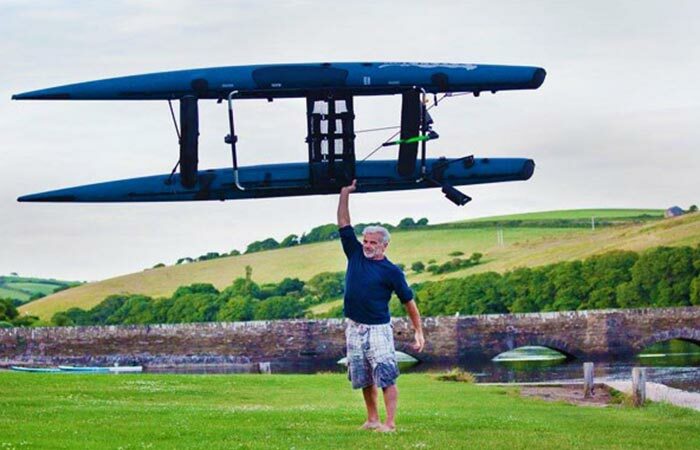 The Kayacat is a watercraft that truly is like nothing else in the world at the moment. Portable, easy to use and exceptionally unique. 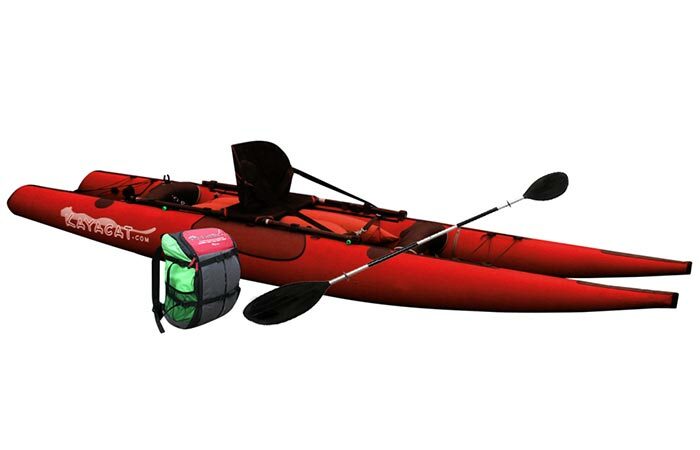 The Kayacat is modular and can be used in many different ways, depending on your needs. 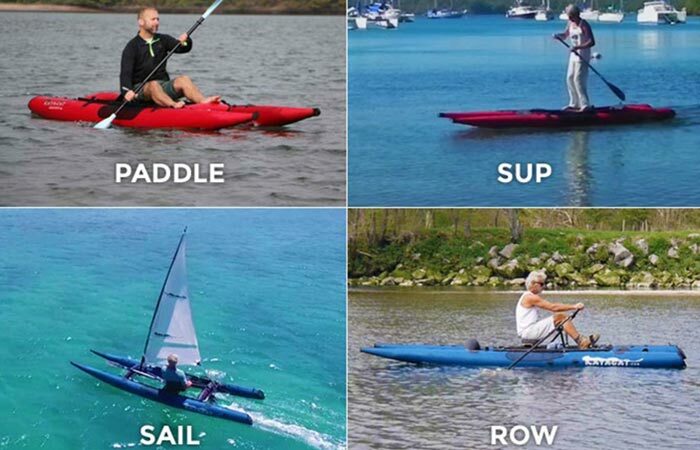 The Kayacat is not just a Kayak but a portable catamaran that you can paddle like a Kayak, use as a Sail boat, as a SUP (Standing-up Paddle), a slide seat rower and it can even take an onboard motor for motorized boating. Check out the awesome intro video below. If you think it’s as incredible as we do then you won’t believe that the Kayacat fits inside its own backpack that can be taken as carry-on luggage on most airlines and only weighs 6 kg (13.22 lbs). What makes this invention fascinating is the fact that it can be repacked in 4 minutes and can easily fit in the supplied backpack which is compatible as airline carry-on luggage. To make things even better, the basic model, the “Puma” can be set up in less than 8 minutes and repacked in 4. 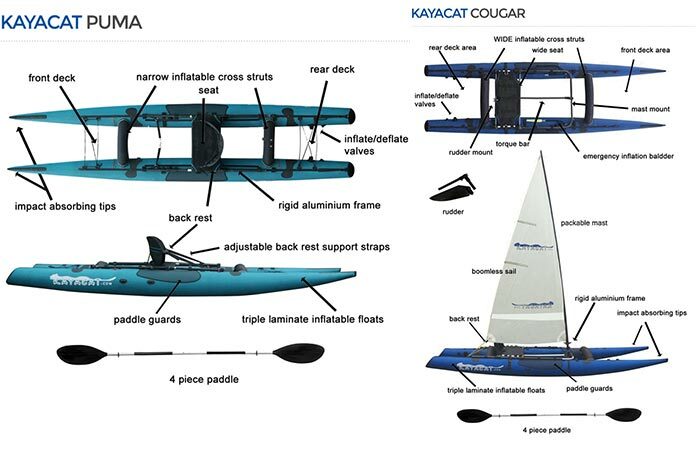 Also, the Kayacat features a one-of-a-kind modular design that brings you the stability that a catamaran has to offer with an inflatable, triple-layered-laminate foam system which makes all the parts interchangeable and replaceable. Both the Kayacat Puma and Kayacat Cougar comes with their own benefits and styles. There is also another version with a sliding row seat called the “Cheetah”. At the moment, there are three different designs available that offer different benefits – the “Puma”, the “Cougar” and the “Cheetah”, and all of them can be preordered on Kickstarter with a 20% discount on the retail price. So, if you think that this idea is as excellent as we do, then you should head over to Kickstarter for more info and support this project. Weighing in at approximately 13 pounds, the Kayacat is light enough to be held above the head with one hand.